Verb Ballets is excited to perform with the Lakeside Symphony Orchestra on Saturday, August 4, 2018 at 8:15pm. The Lakeside Symphony Orchestra is made up of more than 90 musicians from across the country that have devoted many years of service to Lakeside community. This concert is part of the Lakeside Symphony Orchestra 55th season at Lakeside Chautauqua. Established in 1963, the Lakeside Symphony Orchestra is one of Lakeside’s most cherished traditions. Bringing classical music to the Chautauqua community, the orchestra performs seven concerts during its month-long residency. This performance welcomes guest conductor John Gordon Ross retired conductor of the Western Piedmont Symphony in North Carolina and Interim Music Director of the Lakeside Symphony Orchestra during 2018. He has been Second Trombonist for the orchestra since 1978 and is grateful to Lakeside as the place where he met his wife of 37 years, Sarah Rocco Ross, who has also performed with the orchestra for more than 40 years. Ross is currently a faculty member at Lenoir-Rhyne University where he teaches music history and instrumental conducting. Maestro, John Gordon Ross and Producing Artistic Director, Dr. Margaret Carlson have prepare an exciting evening of music and dance for this exciting collaboration. 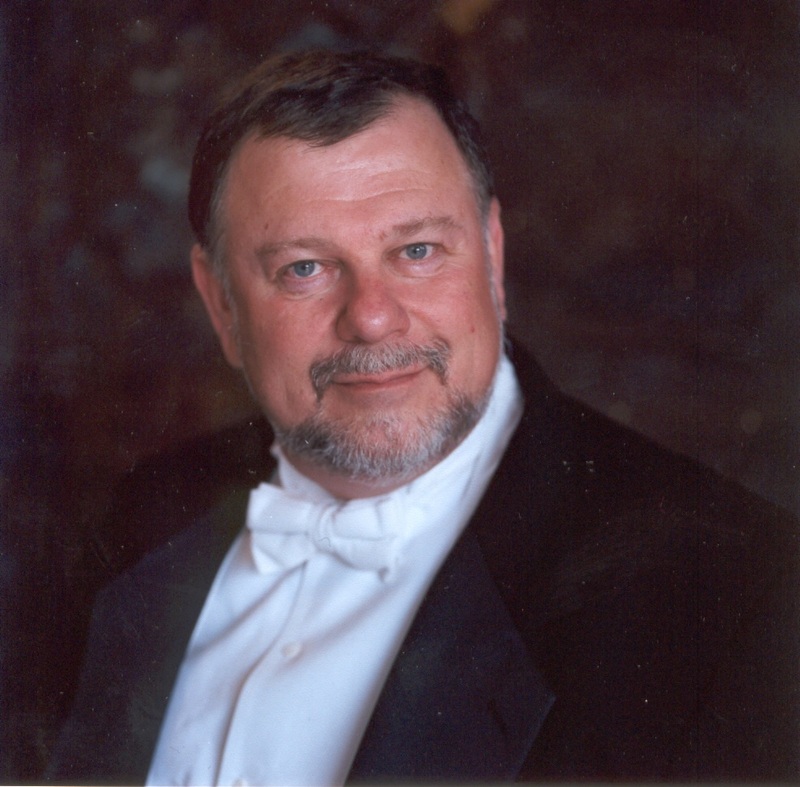 John Gordon Ross (Conductor) – Ross has led the Western Piedmont Symphony in Hickory, N.C. since 1991, and their current season is his 27th and final year as Music Director and Conductor. In 2018, Ross will serve as Interim Music Director of the Lakeside Symphony Orchestra, where he has played 2nd Trombone since 1978. Lakeside is the place where he met his wife of 37 years, Sarah Rocco Ross, who has also performed with the orchestra for more than 42 years. He serves as a faculty member at Lenoir-Rhyne University where he teaches music history and instrumental conducting. From 1981-1991, he was Music Director and Conductor of the Kingsport (TN) Symphony Orchestra (now known as Symphony of the Mountains) including the Symphony Chorus and Youth Orchestra. He also served in a variety of conducting capacities with the Cleveland Philharmonic Orchestra, and guest conducting engagements include the Cleveland Philharmonic and Johnson City Symphony (TN). Video comments from the Board of Directors and Members of the Western Piedmont Symphony on the retirement of conductor and music director, John Gordon Ross. The Cleveland Philharmonic Orchestra under Ross’s direction contributed a great deal of intensity and dramatic continuity to the Berlioz’ drama - The orchestra’s basically fine and full sound showed up on Sunday. It was a good beginning for a new season. With great vision, John Gordon Ross, music director and conductor, has ably guided a group of gifted musicians through a demanding season of performances that featured a wide spectrum of concerts and guest artists. For more than 140 years, Lakeside Chautauqua has welcomed families to the Lake Erie shore to take part in a summer Chautauqua experience dedicated to nurturing mind, body and spirit. Lakeside Chautauqua is an historic community in Ohio that offers an abundance of spiritual opportunities, educational lectures, cultural arts performances and recreational activities during its 10-week summer programming season. It is also a year-round destination for groups of all sizes. The performance is included with day passes to Lakeside Chatauqua. Day passes to the Lakeside Chautauqua are available for $23.50 for Adults and as always, kids age 12 & under and guests over age 90 are always free. Parking is an additional fee.